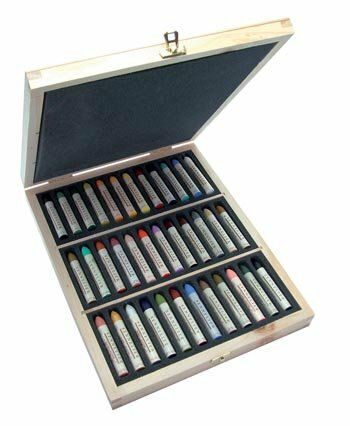 This Oil Pastel Set has a collection of 36 Plein Air colors, with more grays, blues, and greens in the range. They are packed in a foam-lined wood box that is great for protecting the sticks while traveling. Sennelier Oil Pastels were born out of the needs of Picasso, who wanted to paint without a brush and experiment on a variety of surfaces. These pastels do all of that and more. Sennelier pastels have more pigment than any other brand, are lightfast, and thin with turpentine. 36 original colors designed for best results - Oferred at best price!